Have you ever wanted to deny the law of physics that says two things can't occupy the same place at the same time? While not technically accurate we are putting two plants in the same place. But the potatoes will grow underground while the tomatoes flourish up above. That's two for the price of one! 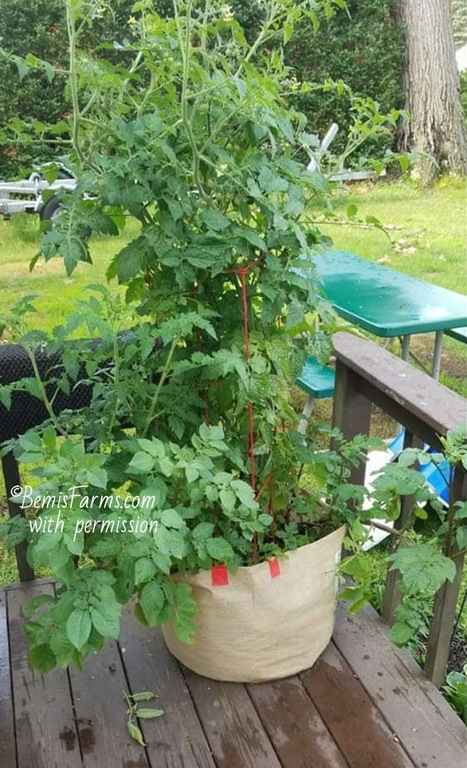 It doesnt get much better-except to say that gardening is just as good as therapy AND you get tomatoes:) This picture was sent in by a customer who made this last year.